This is a large size Field Tarp/poncho in M90 Camouflage. 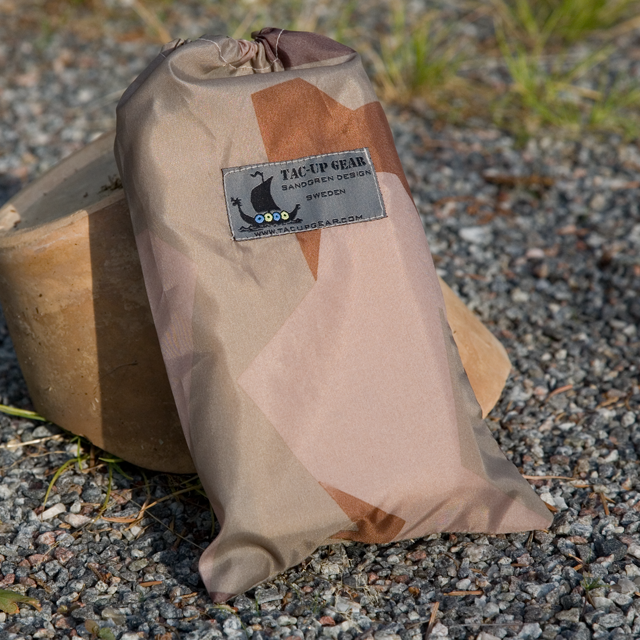 It not only functions as shelter, basha, roof, floor, windproof and rainproof protection when making camp or obersvationpost (OP) outdoor but it can also be used as a very large poncho that will go over you and your heavy rucksack with an adjustable and large hood. 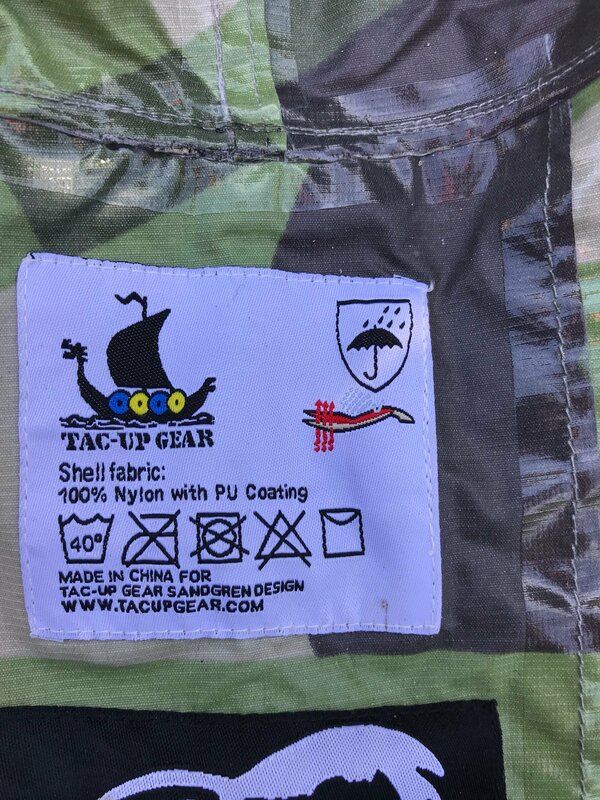 The Tarp comes with an unique set up of four sectioned YKK Zippers which enables it to be turned into a water-resistant bivy bag to your sleeping bag or wind sack you can sit inside of. You easily open and close the different sections and create different shapes depending on your needs. All around the outside you will find flat band loops and eight small metal-eyelets so you easily could fasten it in for example a tree, vehicle or a makeshift wood frame. Wrap yourself up in it when taking a break during a forced march, sit or lie down on it to separate yourself from wet ground, creep into it and change your socks in a dry environment, there is really no end to the possibilities for this unique Tarp/Poncho and has become a loved item by many both military and civilians. -The Tarp/Poncho comes with a bag in same fabric for safekeeping. -Width: 195 cm. Length: 285 cm. Weight approx. : 1460 gram. NOTE! : Let the Tarp dry out before long time storage. the fabric, keep it loose. Keep away from fires and sharp objects!